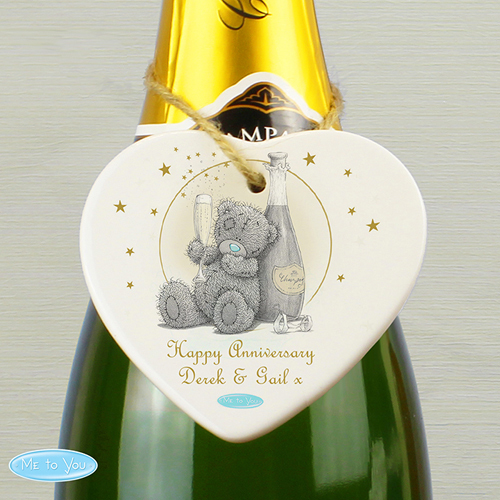 Personalise this 'Me To You' Ceramic Heart Decoration with a message over 2 lines of up to 20 characters per line. All personalisation is case sensitive and will appear as entered. Perfect for Engagement, Wedding, Anniversary, Birthdays.